Tickets are selling quickly for the fourth annual Celebration of Women to benefit Hope Hospice. The event – which draws a sold-out crowd for one of the most celebrated social luncheons of the year – takes place Thursday, April 28, at the Harborside Event Center in downtown Fort Myers. This year’s special twist: A lively and fun tribute to the 1970s, with outfits and decorations that embrace the spirit of a decade that saw women’s roles in society evolve significantly. Individual tickets for Celebration of Women are only $55 each. Doors will open at 11 a.m. with a champagne reception, silent auction and boutique-style shopping, followed by lunch and the highly anticipated fashion show. Nearly 1,000 guests are expected. The broad variety of vendors will donate a portion of their proceeds to Hope Hospice, and event guests can participate in a raffle for high-end prizes. Spring, summer and resort fashions– from casual to evening wear – will be featured in the fashion show presented by Saks Fifth Avenue and Bell Tower Shops. Also, event guests will have an opportunity to bid on one-of-a-kind vacation packages, jewelry, spa services, fine dining and more during the silent auction. A washer and dryer will be one of the prizes offered in the raffle. Proceeds from the event benefit Hope HealthCare Services, with a special focus on Hope Kids Care for children who are in hospice, seriously ill or grieving a loss. Through its Kids Care programs, Hope provides developmentally appropriate services to infants, children and adolescents with life-limiting conditions and their families. Hope’s holistic approach to hospice care for children includes emotional, spiritual and practical support, art and music therapy, massage, aromatherapy and pet therapy. In addition, Kids Care offers pain control and symptom management, counseling and respite for family caregivers. This year, guests at the event will have the opportunity to sponsor a child in Hope Kids Care with a $50 donation. Each sponsor will receive a custom-designed scarf from Hope Hospice. Major event sponsors include Architecture Inc., Gulfshore Life Media, Harborside Event Center, Home-Tech, The News-Press Media Group, Saks Fifth Avenue and Bell Tower Shops, The George and Mary Jo Sanders Foundation, and TOTI Media, Inc./Times of the Islands. Tables for eight guests are available for $550; event sponsorships are available from $1,500 to $5,000. Valet parking will be available at Harborside Event Center throughout the event. For sponsorship information or to purchase individual tickets, contact Sherri Holly at 239-985-7789 or Sherri.Holly@hopehcs.org. For more information about the event, visit hopehcs.org/celebration. Two years ago, Joann Bacheller thought she was losing her husband Charles; their marriage of many years seemed to be coming apart. "He wasn't listening to me anymore," she told us. "Charles was always the decision-maker, and then he just seemed to lose interest. There wasn't even any expression on his face when he looked at me." Joanne thought that Charles had fallen out of love - until he was diagnosed with Parkinson's disease. "We realized that everything I was seeing in Charles were symptoms. He couldn't show facial expressions or make decisions, and had difficulty gathering thoughts in the course of a conversation." 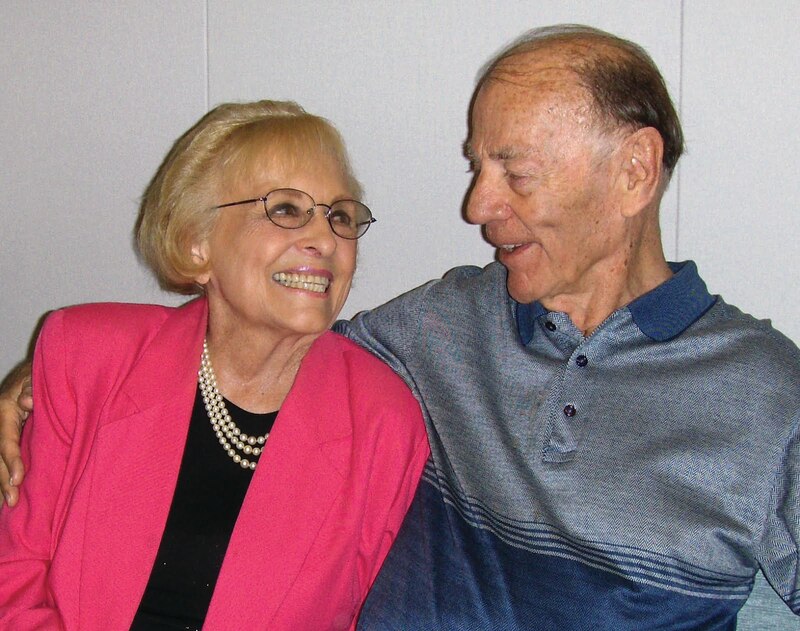 The love was still there and after joining the Hope Parkinson Program, Joanne quickly learned that as the spouse of someone with Parkinson's she must be the care partner, not the care giver. "Charles must continue to live his own life. It won't help if I just try to do everything for him. I give him my support - and my love," she said. Today, the Bachellers can often be found in each other's arms on the dance floor. They enjoy the foxtrot, the tango and swing dancing - excellent therapeutic activities for Parkinson's - offered through the Hope Parkinson Program. More than 750 people have been touched by the program - the only Lee County-based Parkinson support program. Many of them have stories like the Bachellers'. In designating April as Parkinson's Awareness Month, the U.S. Senate recognized that Parkinson's disease is one of the most common neurodegenerative diseases in the country. There is no cure. But there is always hope. The National Parkinson Foundation projects that one of every 100 Americans age 60 and above will be diagnosed with Parkinson's. According to pharmaceutical companies, Lee County has the highest usage of Parkinson medication in the Southeast. Movement becomes increasingly challenging as the disease progresses. Exercise and balance classes can help to improve mood, keep muscles strong, and improve flexibility and mobility in order to reduce the risk of falls. As the Bachellers will attest, ongoing education is also essential for those with Parkinson's and their care partners. If you or someone you love has Parkinson's, there is hope. To learn more about the Hope Parkinson Program, please visit our website at hopeparkinson.org. If you or someone you love has Parkinson's, there is hope. To learn more about the Hope Parkinson Program, please call 800-835-1673. Hope can help.